My dad loved to decorate for Christmas in blue...his mom always had blue candle lights in the window of their house in the winter and one of his uncles had blue lights on the Christmas tree. The last few years before he and mom died, Dad changed their tree over to blue lights and it was beautiful. 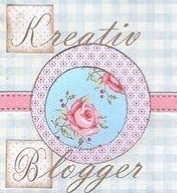 I'm sharing some of my favorite blue items from the talented artists from the On Fire for Handmade group. 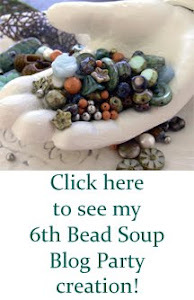 Maybe you'll find the perfect gift you've been looking for! This beautiful Snowflake Charm Necklace is from Shade Tree Studio. I love the modern feel of this necklace. 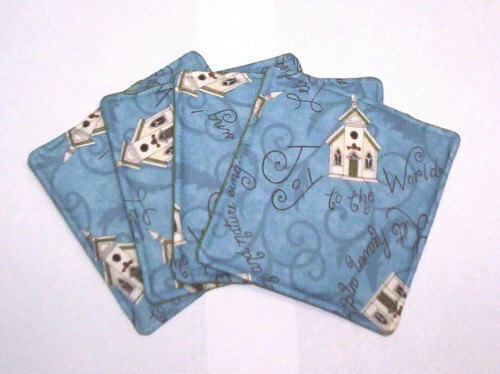 I collect Christmas churches and I love these Christmas Chapels Insulated Coasters by VA Beach Quilter. The church in this design looks a lot like the little country church I grew up in. There have been hydrangeas growing no matter where I have lived and they are one of my favorite flowers. 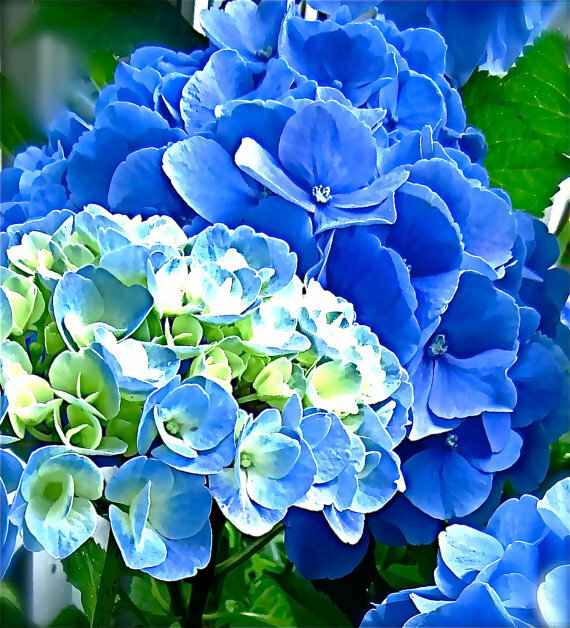 This photo of blue hydrangeas by Janet Long Arts captures the early shades of green through the deep Nikko blue in one picture. 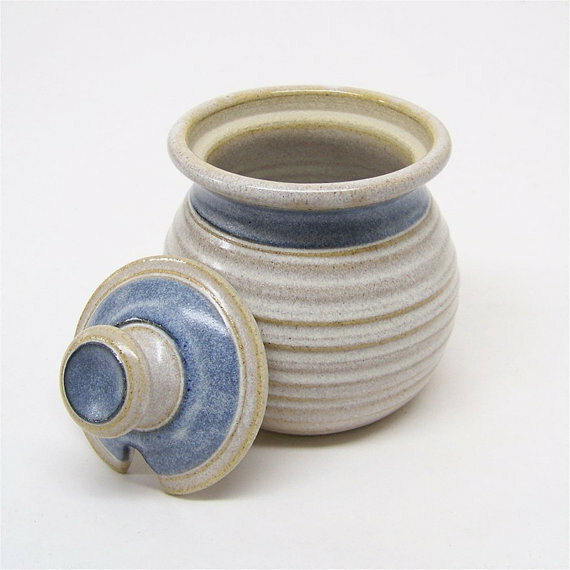 I have long been a fan of Jim and Gina Mahoney's work and I love this sweet Honey Pot from their Hummingbird Studio Pottery shop. 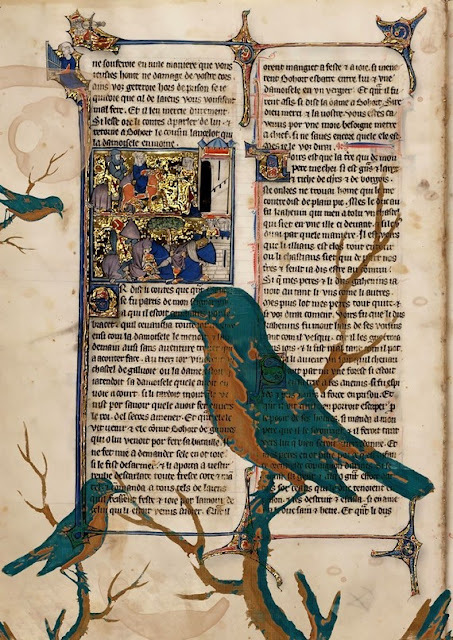 This painting on a page of an old book by Kostas Tsipos has found its way to my personal "wish list" this Christmas. 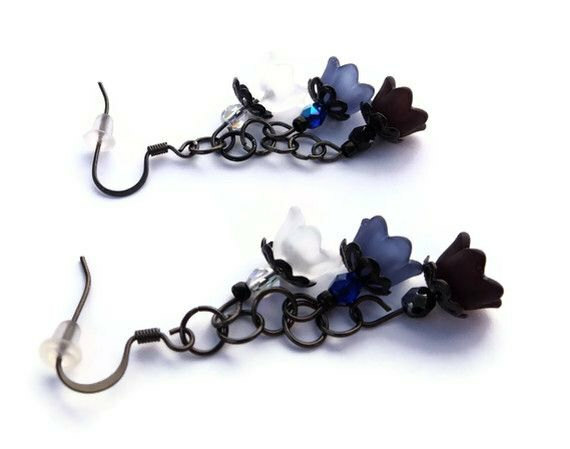 As a huge fan of the ombre effect, these Dark Flower Earrings by Becky Helmer Designs caught my eye. Delicate and striking...what a great combination! 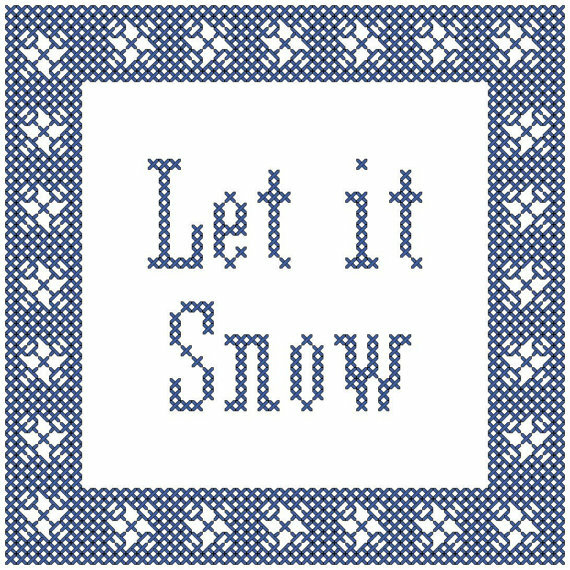 And finally, because I'm wishing for a White Christmas this year, here's a snowflake cross stitch pattern from One of a Kind Baby Design. 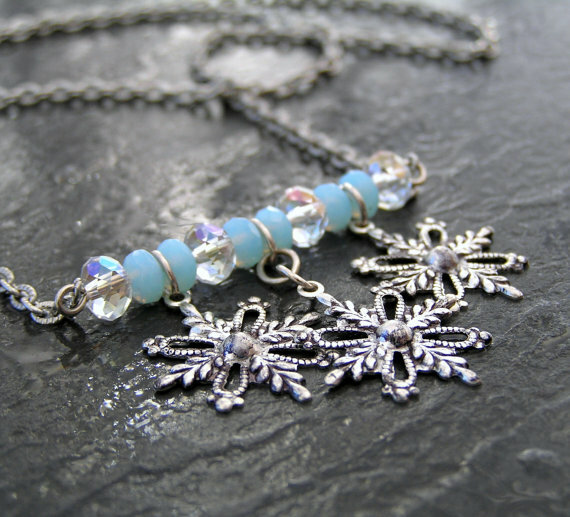 Thanks so much for featuring my snowflake necklace in your blog. These are really gorgeous picks from all of the shops!